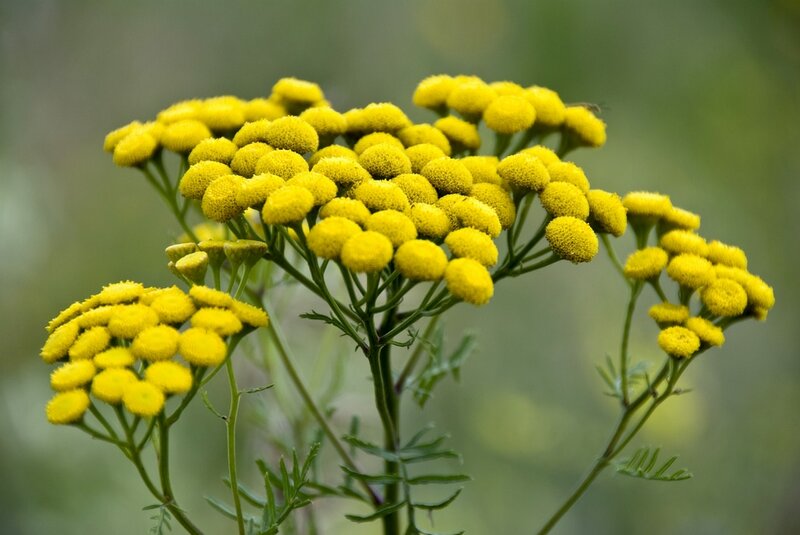 Tansy’s generic name, Tanacetum, is from the Greek word athanasia, “immortality”; in times past, coffins were filled with tansy to preserve corpses precisely because the flowers do not wilt when dried. Tansy has numerous healing properties. The whole plant has a camphoraceous odor. The plant is cultivated today for the oil which is so powerful that its use is not recommended except by a medical practitioner. Used for thousands of years, until about the mid 19th century, as an embalming agent.